Generally, the procedures for taking a plea must follow Rules of Criminal Procedure Rule 590. A plea shall be taken in open Court. A Defendant may plead guilty, not guilty or with the consent of the Judge, nolo contendere. If a Defendant refuses to enter a plea, the Judge may enter a plea of not guilty on the Defendant’s behalf. This rarely happens. Usually, what happens is a plea deal has been reached. Some of the charges will be dismissed; some of the charges the Defendant will plead to. In this case, a plea agreement is reached when both sides have arrived at an understanding and they state on the record in open Court in the presence of the Defendant the terms of the agreement. Unless the Judge orders for good cause and with the consent of the Defendant that the specific conditions of the agreement shall not be placed in open Court but rather recorded in camera and the record would be sealed. This only happens when a Defendant makes a deal to plead to some crime and testifies either before a Grand Jury or against a co-defendant in a future Court proceeding. A nolo contendere plea is when the Defendant will not admit guilt but will not contest the evidence against him. 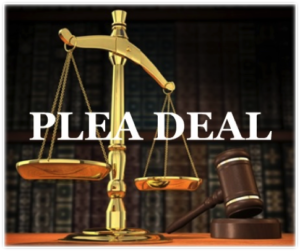 A Court must determine that the Defendant understands the full impact and consequences of the plea deal and is, nevertheless, willing to enter that plea. At a minimum, a Judge should ask whether the Defendant understands the nature of the charges, the factual basis of a plea and that the Defendant has a right to a trial by a jury and that he is presumed innocent. Also, the Defendant must be aware of the permissible range of sentencing including the maximum sentence allowed by law. In most Courts we have written plea agreements which vary from three pages and in some counties as many as nine pages to determine whether the Defendant understands the nature and severity of a plea. In addition, the Court always asks the Defendant whether he is satisfied with the representation by his attorney and whether the attorney has explained to him the entire agreement. The attorney is also asked to certify that his client understands what a plea means and its consequences.